NFL Network is reporting that Jim Goodman has been relieved of his duties and will be replaced by assistant general manager Brian Xanders. Goodman’s official title was V.P. of Football Operations/Player Personnel with Xanders and his son Jeff, who will also be looking for work, sharing the assistant G.M. duties. Schefter didn’t have any word if another Goodman, college scout Tyler, will also be out of work as a result of the moves. Xanders joined the Broncos last May after spending the previous 14 years with the Falcons. While with Atlanta, he worked in a variety of capacities, from assistant coach to information technology to salary cap management. 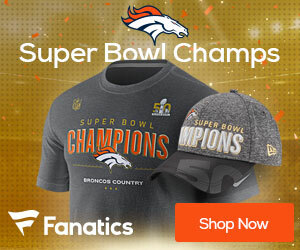 The team’s website says that Xanders, 37, is responsible for the long and short-term strategic planning of the Broncos’ salary cap and cash management.